A lot of people take their feet for granted and tend to neglect them. Foot health is a part of overall health, however. Cracked, yellowing or discolored toenails do more than just affect your ability to wear flip flops; it may be the result of a nail fungus. Onychomycosis – more commonly referred to as toenail fungus – can cause nails to thicken, yellow, and crack, as well as cause pain, swelling, and inflammation of the toe. And while fungal toenail infection may not be life-threatening, you’ll still realize the importance of your feet. You might feel self-conscious about the appearance of your toes, or you might have a symptom of a larger problem (such as an imbalanced diet). Whatever the case, you’re better off avoiding a fungus infection. 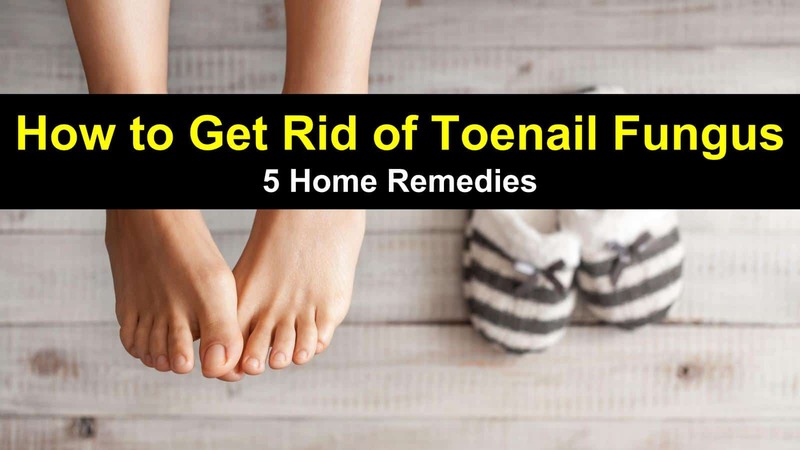 Or, if you already have one, here are 5 ways on how to get rid of toenail fungus. Is it Nail Fungus or Something Else? If you have an infection, you might be feeling alarmed. You might feel self-conscious about the condition and feel like you’re alone. Rest easy. Toenail fungus may be an eyesore, but it isn’t a reason for embarrassment. In fact, it is surprisingly common; more than 10% of adults have fungal nail infections. Additionally, 20% of adults over the age of 60 deal with fungus as well. While fingernail infections can occur, toenail fungus infections are much more widespread, because of the conditions of the hands versus the feet. A particular fungus known as dermatophyte yeast causes fungal infections. The fungi typically live – and thrive – in warm, moist environments such as pools and showers; because shoes recreate these conditions, toenails are at a much higher risk for developing fungus. There are a variety of causes for fungal infections, so you’ll want to experiment to find out exactly what is causing your individual case. Among other things, wearing the same shoes day after day, wearing sweaty socks, or walking barefoot through community showers can all increase your likelihood of developing an infection. While a trained professional is the best source of diagnosing conditions, you can get a general idea of what type of situation you have based on the symptoms. Start by looking at your nails and nail bed. If it’s a fungal infection, you might see yellow streaks. You might notice pieces of skin and fragments of the nail under the nail. The nail may be discolored and might separate from the skin. The nail itself might be brittle, broken, or thickened. Several common nail conditions are commonly mistaken for nail fungus, however. Because other problems share characteristics with fungal infections, your best bet is to consult a doctor to make sure it IS a toenail fungus infection and not something more serious. The following are nail conditions that have similar symptoms to nail fungus. Onycholysis is the separation of the nail from the nail bed. When this occurs, a yellowish color may appear, similar to the color of a nail with a fungal infection. Trim your nails as short as possible to treat onycholysis; healthy nail growth should help the color return to normal within two to three months. Paronychia is the name for redness and swelling of the skin around the nail beds. Sudden onset paronychia if typically caused by bacteria entering an inflamed or injured cuticle; warm soaks and compresses can alleviate pain and redness, but a doctor may need to drain the area. Long-term, repeated, or severe infections may require treatment with antibiotics. Both nail fungus and nail psoriasis can cause pitting and thickening of the nails. However, nail psoriasis is more likely to occur for those already suffering from psoriasis and typically found on fingernails. Because it isn’t a fungal infection, nail psoriasis is not contagious. While it may seem like a topical problem, nail fungus permeates deep beneath the nail bed. Because of this, it can be difficult to treat. Topical antifungal creams, oral antifungal prescriptions, and, in severe cases, removal of the nail. However, these medications and procedures can have serious side effects including pain, fever, diarrhea, fatigue, swelling, difficulty breathing, weight gain, liver damage, heart problems, and more. Hoping to avoid health consequences, more and more patients are looking for ways to treat their nail fungus naturally at home. Treating nail fungus doesn’t have to mean relying on a doctor’s prescription. Instead, patients can take control of their health with these easy home remedies for toenail fungus. This pantry staple can help cure nail fungus and is also a wonderful home remedy for foot rot when applied topically or taken internally. Mix apple cider vinegar (do not use white vinegar) and Epsom salt with hot water and soak your feet in the solution twice a day for at least thirty minutes to help kill the nail fungus. Likewise, mix two tablespoons of apple cider vinegar with eight ounces of water – as well as a bit of honey for sweetness – and drink once a day. With natural antiseptic and antifungal properties, castor oil and tea tree oil for nail fungus have been used for centuries. 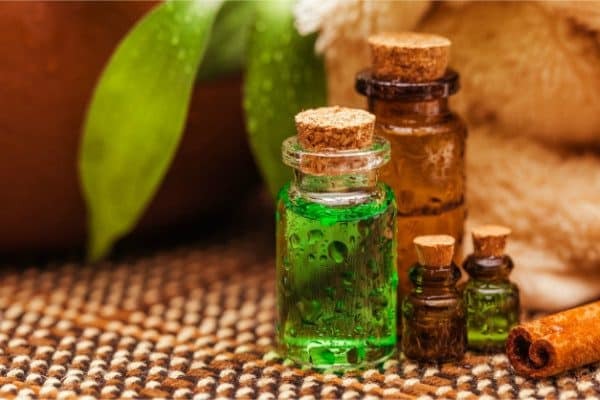 Undiluted tea tree oil can be applied directly to affected nails to help kill fungus; ten minutes after application, gently massage the oil into the nail using an old toothbrush. When applied to surrounding skin, tea tree oil is best diluted with a carrier oil such as coconut or olive oil. Continue to use daily until several weeks after new nail growth has occurred to prevent the fungus from returning. Wearing open-toed shoes can be difficult if you have a fungal infection, especially if you feel self-conscious about the appearance of your toes. Coincidentally, open-toed shoes are good for fighting fungal infections because they help to keep your feet aerated and dry. Antifungal nail polish can help cover the discoloration associated with the infection while at the same time fighting the fungus itself. It allows you to continue to wear your favorite open-toed shoes while at the same time fighting the infection underneath! While they may not seem connected, the health of your digestive system can have an impact on the growth of nail fungus. Healthy gut bacteria can help prevent the growth of fungi and microbes in the body; an imbalance of flora in the digestive system can lead to fungal overgrowth. Maintaining gut health can help minimize the spread of nail fungus and keep it from returning in the future. 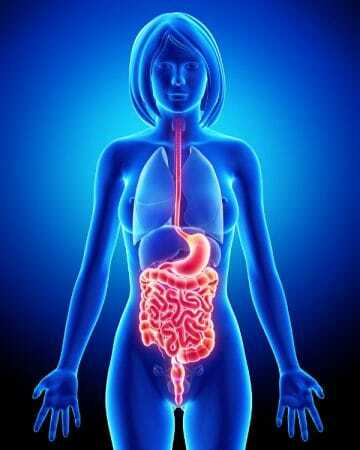 Yeast tends to prefer sugar, so eliminate excess sugars from your diet. Replace it with healthier foods (greens, legumes) and introduce more fiber, protein, and healthy fats to your eating habits. Vicks Vapor Rub can do more than help you breathe easier when you have a cold – it can also eliminate nail fungus! The thymol, or oil of thyme, in Vicks Vapor Rub, has natural anti-fungal properties. Spreading it on affected areas can help disrupt the cell membranes of the fungus. While thyme oil has the same properties, Vicks is much easier to find in stores; in fact, you probably already have some in your medicine cabinet! Nail fungus can be unsightly and uncomfortable; however, it is possible to treat it naturally without harsh antifungal drugs. In this article, you learned how to get rid of toenail fungus. You learned what toenail fungus looks like, and some of the other ailments that you can mistake for an infection. 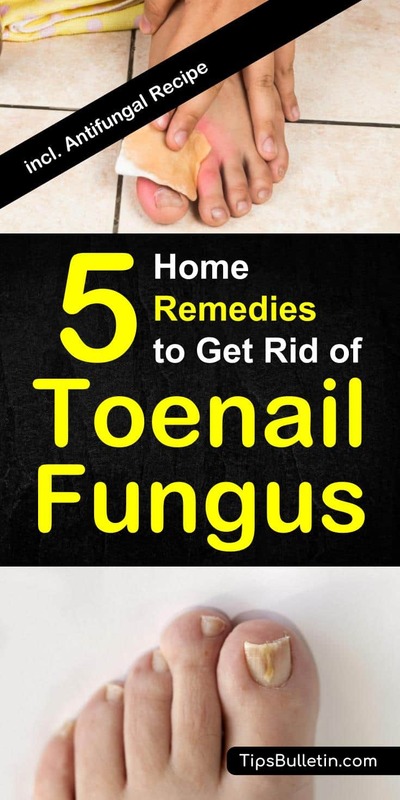 You also learned several home remedies for toenail fungus. Do you have a friend or family member struggling with toenail fungus? Maybe all they need are some natural remedies. Use the buttons below to share to Facebook, Twitter, and Pinterest!